Our first lesson in Jesus Encounter is that Jesus calls us. Luke 5:1-11 — Jesus calls his first followers. – They were working in their jobs, going about their lives. And then Jesus arrived. – Jesus had spent some time in the area teaching and connecting. Don’t freak out – not just a stranger on the shore one morning. He had prepared the relationship. But he didn’t wait for them to come to him – Jesus went to them and called them. Every one of us is called by Jesus. He doesn’t wait for us to seek Him – he comes calling. If you have crossed the line of faith, then you’ve actually been called twice. At least twice. We’re called to faith, AND we’re called to service. It normally happens in that order, but not necessarily. We are saved FROM the punishment and wrath of God, but we are saved FOR service and love. Both are important. If we don’t respond when Jesus calls we miss out on the greatest adventures of our life. Peter was a fisherman. Until his dying day he must have been telling people about that big haul. You know fishermen, right? I believe that in our world today, in our country, at this time in history, Jesus is calling us to the same task he called his original followers to: to serve other people and build a better world. We mustn’t overthink the phrase: Jesus was simply using language that was familiar to them. What he was calling them to became obvious over the next three years, as they spent time together and learnt from Jesus’ teachings and example. Jesus was VERY clear about what he wanted. He is clear to us today too. Jesus was VERY clear: he came for those who are outside the circle. Jesus calls us to go outside the circle. Whatever the circle is, Jesus is outside of it. He breaks down our categories, barriers, definitions. And he challenges us to see, live and love beyond our natural boundaries. Jesus did NOT call his first followers to start a church. Jesus did NOT call his first followers to start a religion. Jesus did NOT call his first followers to put their names on a roster so they could serve at the local gathering. Jesus did NOT call his first followers to become members of a club. Yet, for many of us, that is pretty much all church is: a club that we’ve joined. A club we need to protect. Jesus didn’t call his disciples to this. Jesus called them to get out of bed every day with a sense of purpose, understanding that it was tough and often difficult work. Jesus called them to work hard with a goal in mind. Jesus called them to get out onto the water and head away from the safe shore. Jesus called them out of their comfort zones. Jesus called them to leave what they knew and understood, and in almost everything he said and did, he showed them that they are to love and serve those outside the circle. They are to love and serve: the Samaritan, the tax collector, the Roman oppressors, the prostitutes, the foreigners, the poor, women, children, the sick, the hungry, prisoners, even lepers – the most ostracised people of his day. Jesus called them to go to those who are left out. We’ve all had the experience at some stage in our lives of feeling left out. But actually, when it comes right down to it, I’m reasonably OK. I’m a white, English speaking, heterosexual, married man, middle class and middle aged. The world is designed by and for people like me. So, actually, I have very little idea of what it feels like to be a genuine outsider – on an institutional level. I’ve also grown up in the church, with a pastor as a father, and so I don’t even know what it’s like to be outside of the church community. As I read the Gospels, it’s a scary thought that Jesus reserved his harshest words for people like me: Blind guides, white washed tombs, better to have a millstone around your neck and thrown into the ocean. Why? Because if we’re not careful, those of us who have been around church for a long time forget the reason we started churches in the first place. We begin to feel comfortable being surrounded by people who are similar to us. We begin to see the walls of our churches as a safe barrier between us and “the world”. We begin to only look inside the circle. We spend almost all our time, energy and resources on what’s inside our circle. We even make rules about who’s in and who’s out. And we get very picky about who’s allowed in the circle. We put up barriers. We make rules that help us easily decide who’s in and who’s out. The easiest place to see those rules is who we pick as our leaders – who do we allow to lead us. And we are quick to judge people who don’t conform…. But we forget that Jesus is outside. Jesus is outside saying to those who have been left out: I love you; come to me because my burden is light and I will give you rest; do not be troubled. Sure, he also told them to sin no more, to go back to family and friends and be restored, he told them to work hard, to respect the rules of the land and to obey God. But mainly he told them that they were loved and that they were to love in return. Jesus still says that today. He says that TO YOU today. THE MOST IMPORTANT calling we receive is the call to LOVE. I will make you fishers of men. I will give a passion and a love for those who are different, and you are to go and find them and bring them in. But most importantly, we are to love. When asked about the greatest commandment Jesus said: love god, love others and love self. And then he went further and said that the whole law could be summed up in these simple commands. What was “new” about this? Have you ever wondered about that? Why did Jesus say it was a new commandment? It’s new because the Jews had also forgotten what they were supposed to be doing. The Jews forgot that last bit. I think we Christians in 2017 are in danger of that too. We’ve created churches that are quite good at loving the people who are inside our circles. But Jesus told us that we are called to love everyone. When Jesus’ asked him, “who is my neighbour?” Give us a definition of who we should love. 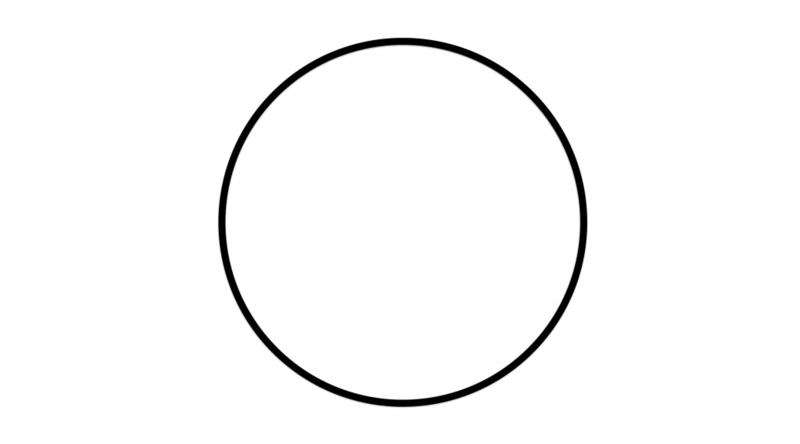 Tell us where the circle is. Who’s in and who’s out. We’ll love the guys who are inside; the ones who obey our rules. He told us to go outside the circle. Jesus came outside the circle to call us. Now he calls US to do the same. So, where is your circle? The church is not good at giving young people space. We moan about the youth group and the kids, gripe when they leave the church building a little dirty after their Friday events or when they get a bit loud at Sunday School or creche. And we send all our trainee pastors to lead them, and make excuses about why we can’t get involved. The church is not good at dealing with poor people. We see potential big tithers come in and we give them preferential treatment. But sometimes we just don’t even think. Bible studies are held in homes that can only be accessed by car. Youth group goes out for milkshakes and burgers and we expect every kid can both get there and pay their own way. Church is not good at dealing with race. Our churches across the country today are almost all un-integrated. We choose to worship with people who look and sound just like we do. This is not what Jesus called us to. Not our church, but a significant number of churches are not good at dealing with women. When Gary became Bishop and Jacqui took over as senior pastor, some people left. When Jane took over as our pastor here, some people left. This is still a battle for some churches. The most contentious problem we have today is that we are not good at dealing with people of different sexual orientations. I know for some of you this is a difficult one, but even if you believe that homosexuality is sinful we have no right to exclude these people from our church, or to do anything other than extend grace and love to them. We have not right to say to them: “you’re not welcome in our church”. Jesus said the kingdom is here and now – already in our midst – and everyone is invited to join it and enact it by living the values of love. We’re enlisted to make the world a place where everyone is treated as an equally beloved child of God. Jesus calls us to step outside whatever circles we’ve created that separates us and them. 1. – befriend people this year – Work on genuine friendships with people older and younger, with people of different race groups, with gay Christians who love Jesus. Spend time together, get to know each other. One of the surest signs that your church is a club is if you don’t know any of these people outside the circle. 2. – serve people this year – give to those who are vulnerable and have nothing. This is how we will be judged when we stand before our king – what we did or didn’t DO for the hungry, the poor, the homeless, those in jail, widows and orphans and all those outside the circle. Not what you SAY. Not how many heartfelt Facebook status updates you liked. Not even how much money you gave. But what you did. Don’t wait for God’s call to do this. “I am praying to find out if God wants me to serve the poor”. Are you joking? You don’t need to pray – God has already told you. In fact, let’s be clear: you ARE called. Everyone is called. The only question is what you are called to, but you are called. So you’d better be doing something. This is NOT a country club! There are no casual members. Everyone is a worker, so do something to serve. NOT just IN the church, but outside as well. 3. – love people this year. Love because God loved you. Love because love defines us. Love wins people. Love always wins. Listen for God’s calling in 2017. Jesus IS calling you. Still small voice. That growing conviction. ACT ON IT. Step out of your circle. Out of your comfort zone. Listen to call, and follow Jesus. Do Evangelicals Really Love Jesus?